We provide essential services for the prevention of noise damage to workers’ hearing. 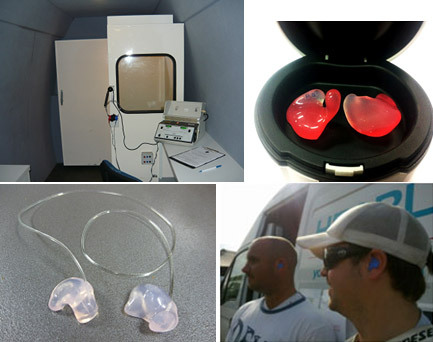 For all industrial on site hearing services quotes , servicing all NSW & VIC. Noise survey’s including personal noise exposure dosimetry (dosebadge) reporting. It is the employer’s responsibility to take steps to protect workers’ hearing as well as meet legal OH&S obligations. It is the worker’s responsibility to comply with the safety rules including the proper use and maintenance of their hearing protection. Contact us to discuss how we can help you meet your responsibilities. Full range of hearing protection, designed for all industries, soft medical grade hypo-allergenic silicone products (motorcyclists/industry/recreation/shooting/sleep/swim). Available in slim concave for tight fitting helmets. As well as Full On Site Hearing Screening Service (in accordance with Noise Regulations, 2017), On Site Noise Survey Evaluations and sound mapping reporting using Class 1, Sound Analyser & Bruel & Kjaer Dosimeters (personal exposure calculation). DEFINITION OF NOISE: UNWANTED SOUND OR DAMAGING SOUND. Noise can cause non-auditory damage in the cardio-vascular, endocrine, metabolic, gastro-intestinal and neurological systems. Performance in reading, writing and listening tasks are also affected by noise, as is concentration. Productivity in workplaces can be affected if there is excessive noise, especially if employees suffer from noise induced hearing loss. 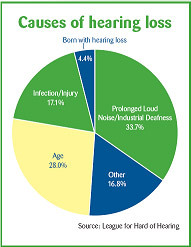 How long can a person endure a certain noise level before hearing impairment occurs? Noise Exposure Standard in Victoria: 85dBA noise level for 8 hours and peak noise level 140dBC. For every 3dB above this, the duration of exposure is halved, eg. If the noise level is 88dBA, the maximum duration a worker may work is 4 hours. 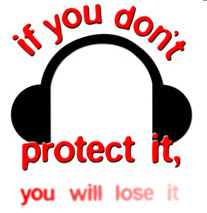 The appropriate attenuation rating of a hearing protector will result in keeping the exposure below the standard.